This is a term used to describe certain medical equipment required for medical reasons and ordered by your doctor for use in your home. 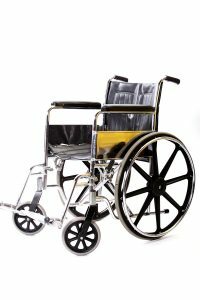 Some examples include a wheelchair, hospital bed or walker. This type of equipment is covered under Medicare Part B. The Doctor ordered a wheelchair for Ben to use at home, this counted as durable medical equipment.